To ensure that we could try everything and anything during our short stay in KL, we were very careful to watch the portions we ate just to make sure that there was room for the next food stop. We had started at Mei Sin for the appetizers, and quickly proceeded to this landmark ba kut teh (pork rib soup) restaurant for the mains. 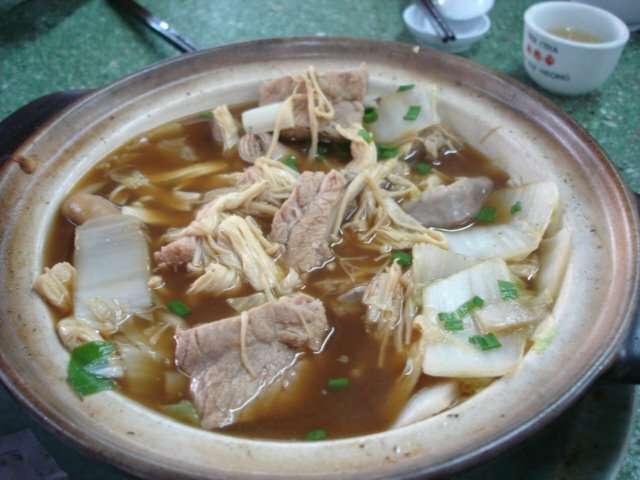 The ba kut teh here is served in a herbal stock and dressed with mushrooms and cabbage. This is a nice change for me since I just love my veggies. We also had a pot of liver and kidney to go with it. This was cooked with plenty of ginger and reminded us all of the soup that our mothers and grandmother used to feed us when we were little.